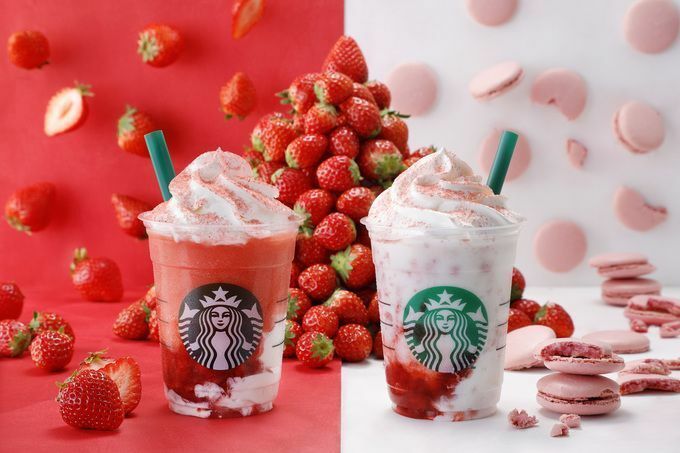 After last year's huge response to the Strawberry Frappuccino, Starbucks has just released the beloved drink again, but this time it comes with a white twin! "#STRAWBERRYVERYMUCHPFRAPPUCCINO®_RED” is a blend of ice, milk and strawberry puree, layered on top of a splash of strawberry puree and finished with vanilla whipped cream. The idea behind the beverage is to make it taste more like strawberries than eating real strawberries! "#STRAWBERRYVERYMUCHPFRAPPUCCINO®_WHITE”, the other version, counts on the addition of white mocha syrup, a crisp base and strawberry flesh, plus a crisp strawberry macaroon to add texture. Both are only available in Tall size, for 640 yen. The Frappuccinos will be available nationwide from April 11th to May 14th. 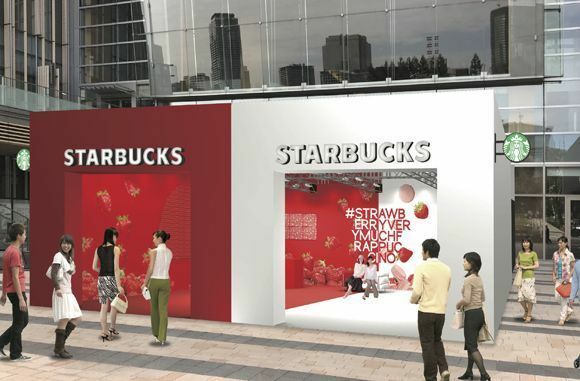 To make the experience even more enjoyable, Starbucks opened a pop-up store in Tokyo Midtown Courtyard for a period of four days, from April 10th to April 13th. #STRAWBERRYVERYMUCHHRAPPUCCINO® store has been carefully designed to create a space where you can enjoy the twin strawberries. And it is highly Instagramable, of course!